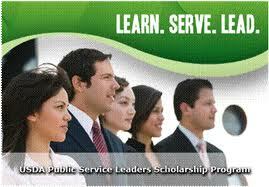 USDA Public Service Leaders Scholarship Program offers a unique program for students interested in both a scholarship and an internship that leads to a career with the United States Department of Agriculture. Interested students must have leadership skills, demonstrate community involvement and be interested in a career in public service with the USDA. Students must be U.S. citizens attending a U.S. accredited college or university and maintain a grade point average of 2.75. Along with the full-tuition scholarship, students must agree to complete an internship, for which they are paid, with the USDA. After graduation, students receiving scholarships will be expected to work for the USDA one year for each year of educational assistance received. 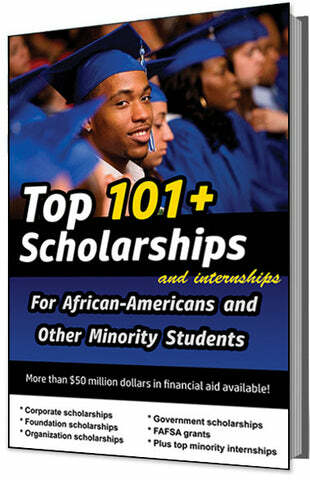 For example, if a student received full tuition all four years of college, they would work four years at the USDA. The purpose of the scholarship-internship program is to encourage students to consider a career with the USDA, provide them with educational assistance, and give them hands-on work experience at the USDA through internships. 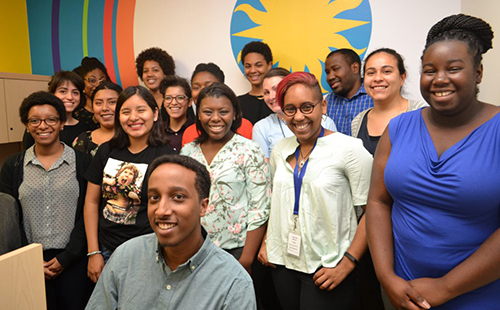 Students who accept the scholarship begin their program with leadership training in Washington, D.C. After graduation from college, they must agree to live and work at a location that will be chosen by the USDA. The USDA gives scholarships to both undergraduate and graduate students in several academic fields, and they offer opportunities for students to receive career counseling through mentoring programs and career fairs.